Takeaway: Detox water is an effective way to stay hydrated and lose weight. Detox water also does a great job of regulating our digestive system and daily bowel movements. Staying hydrated means less bloating, fatigue, and constipation. Detox water is a healthy, effective, and tasty way to ensure you are hydrated and ready to take on the day. 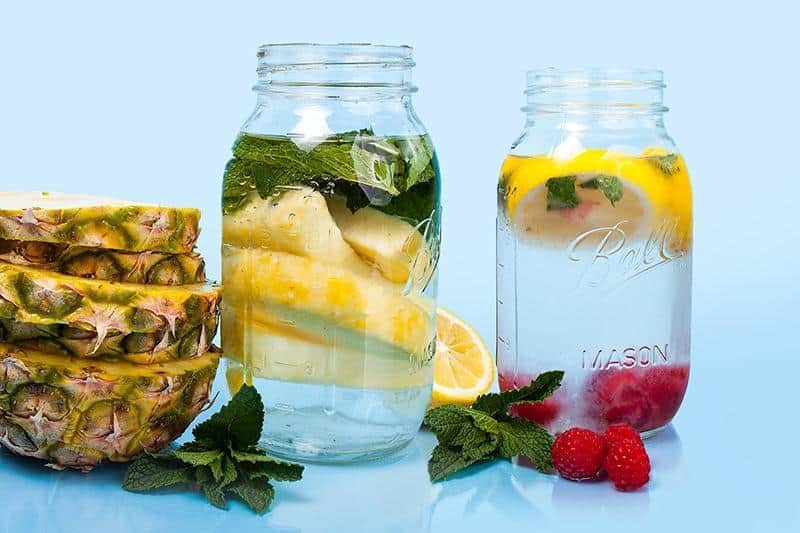 Give some of these refreshing detox water recipes a try. Detox water is a favorite tool for losing weight, getting rid of toxins, and staying hydrated throughout the day. You’ll find that a detox water recipe is usually infused with a variety of fruits, vegetables, and herbs. There are little to no calories in detox water; and unlike smoothies and other weight loss beverages, it requires no blending or juicing. The best part? It’s very inexpensive, and you can make it right at home! Detox water can also assist us in staying away from carbonated, artificially flavored, and sugary sodas and juices. Studies show that a big part of weight loss success comes from drinking a generous amount of water on a daily basis. Why bother reaching for a can of empty calories and high fructose syrup when we can quench our thirst with a cup of naturally flavored, fresh water? Detox water is an affordable, fun, and healthy way to drink the recommended eight cup of water a day to stay hydrated and ensure your organs are performing properly. The best part of making your own detox water is that you can customize it to your liking. 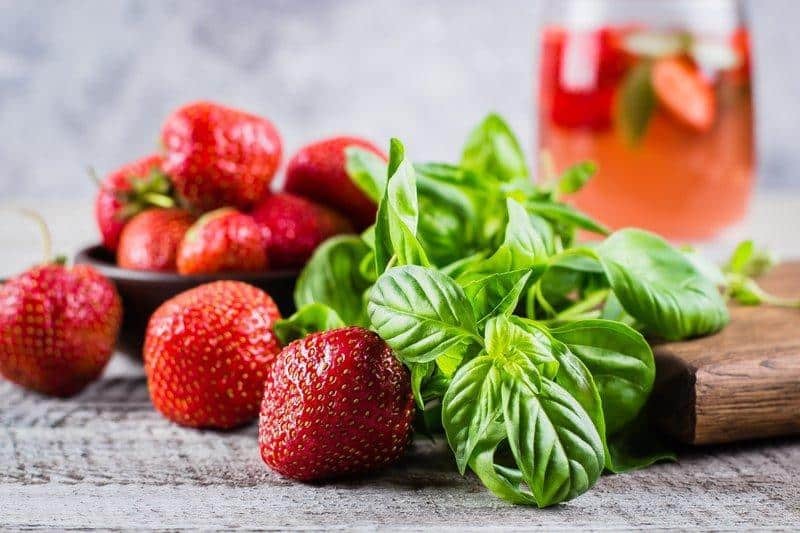 Just gather a combination of your fruits, vegetables, and herbs keeping in mind that the more of any ingredient you put in your water, the stronger the taste of that ingredient will be in your drink. Peel, cut, and place your choice of ingredients into cold, hot, or room temperature water. When making a cold drink, you can leave the detox water in the fridge overnight to allow the flavors to infuse into the water thoroughly. 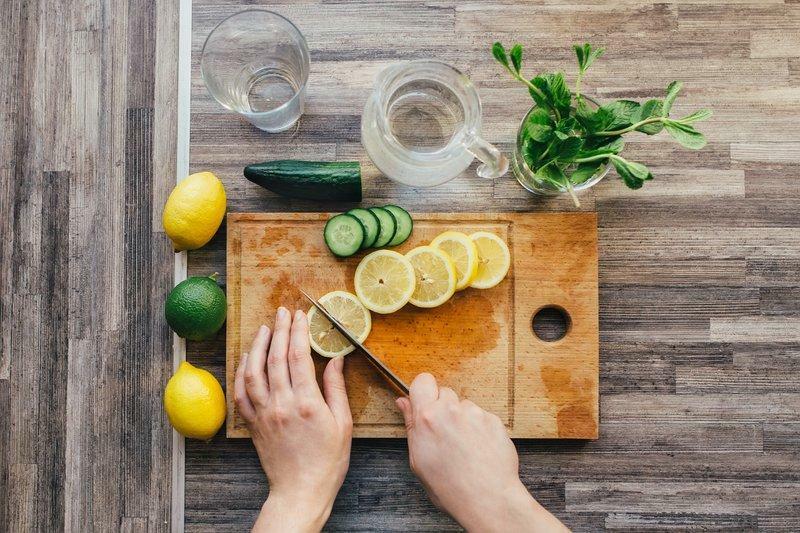 When using this preparation method, be sure you remove the ingredients from the water to avoid decomposition of the fruit and vegetables in the detox water. When following a detox water recipe, you’re usually instructed to make an entire pitcher of infused water. However, you can make your detox water portable by placing it in a tumbler, water bottle, or travel mug to take it with you wherever you go. 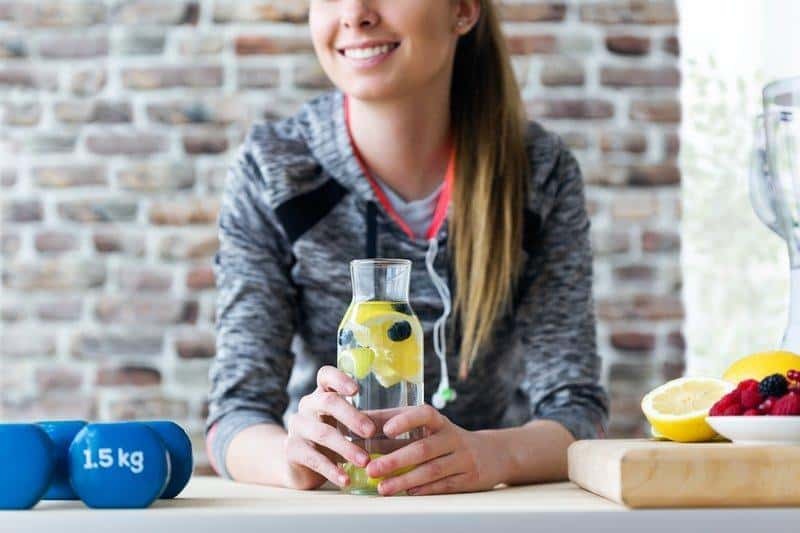 There is a lot of hype around the health benefits of detox water, and while we would like to claim that they are factual, some are more valid and accurate than others. Detox water is an effective way to stay hydrated and lose weight. 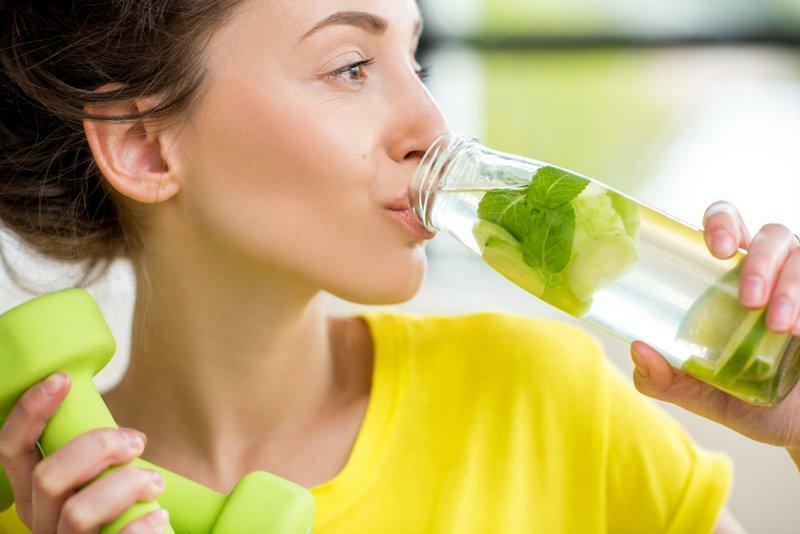 Studies have shown that staying hydrated while following a diet plan is important because it helps you feel fuller and ultimately reduces your calorie intake throughout the day. Drinking the required amount of water per day can significantly impact your metabolic rate. Detox water also does a great job of regulating our digestive system and daily bowel movements. Staying hydrated means less bloating, fatigue, and constipation. Depending on the ingredients that your detox water contains, it can also assist in improving your immune system. A shortage of water in the human body can affect mental focus, mood, and energy levels. Research shows that as little as 3% dehydration can slow your reaction time to the same extent as 0.08 alcohol content. Detox water is a healthy, effective, and tasty way to ensure you are hydrated and ready to take on the day. Vamp up your lemon water by combining it with additional ingredients to serve your health and detox needs. Lemon can improve the quality of your skin, support weight loss, and aid in digestion. Lemon is also a great source of vitamin C for your body and can help prevent kidney stones. 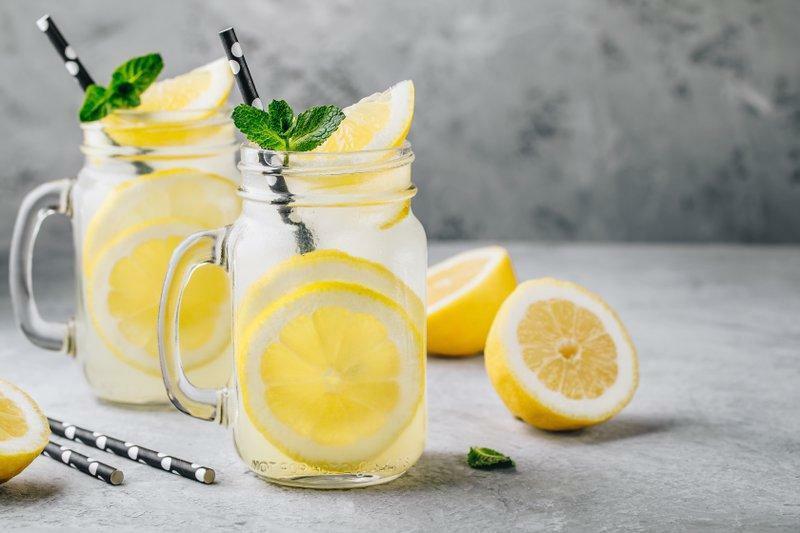 This warm lemon water detox recipe is simple to make, tastes great, and will keep you hydrated throughout the day. Inspired by the master cleanse recipe, this homemade detox lemonade is just as healthy but tastes even better! This lemon water detox recipe is also infused with turmeric and is a great way to start your day. This detox water is rich in vitamin C and antioxidants. It will cleanse and alkalize your body. The combination of both lemon and cucumber makes one really, really fresh cup of water. This detox water is better served chilled and will quench your afternoon thirst in no time. Did you know that watermelon is actually 92% water? Watermelon has very few calories per serving, and many of the vitamins and minerals in watermelon are also good for your heart health. These include vitamins A, B6, C, magnesium, and potassium. 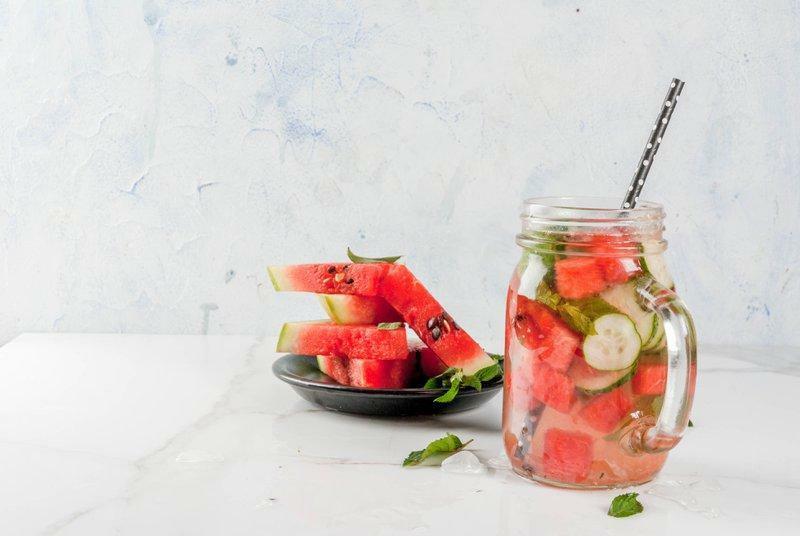 If you are a watermelon lover, this is the detox water recipe for you! Watermelon is known for improving heart health and preventing muscle soreness after an intense workout session. This recipe is perfect for staying hydrated any time of the year. Lower your blood pressure with this watermelon and strawberry infused drink. The combination of these ingredients provide essential vitamins, stress relief, and help keep you hydrated. Cucumbers are extremely low in calories but rich in the nutrition our bodies need. Studies show that cucumber may lower blood sugar levels and regulate your bowel movements. Cucumbers are rich in beneficial antioxidants that may help to reduce the risk of illness. Cucumbers are one of the most underrated ingredients around, even though they have so many health benefits. They are low in calories, high in fiber and perfect for any weight loss plan you currently follow. 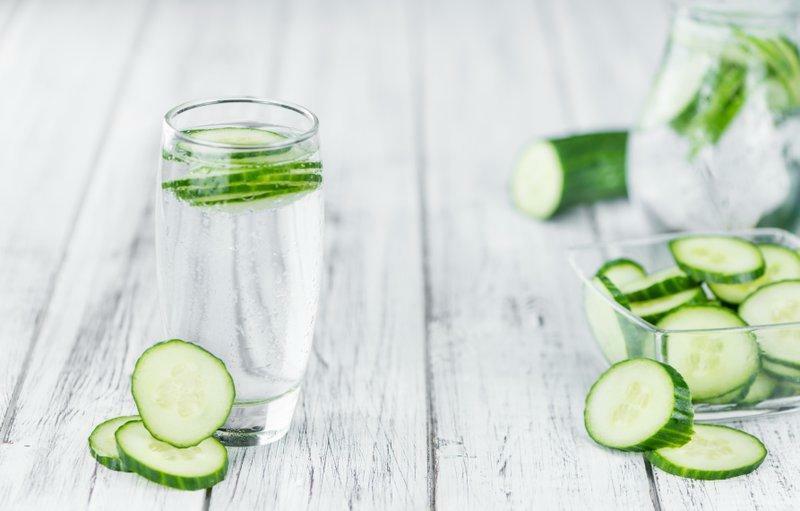 This cucumber water detox recipe is one of the most popular recipes. Beat the bloat and boost your immune system with the list of ingredients in this detox drink. The delicious combination of cucumber and pineapple will make you forget that you’re even drinking water! The combination of these two ingredients makes for one delicious cup of infused water. Basil is an anti-inflammatory herb that contains a powerful antioxidant. This recipe is your go-to Summertime beverage! 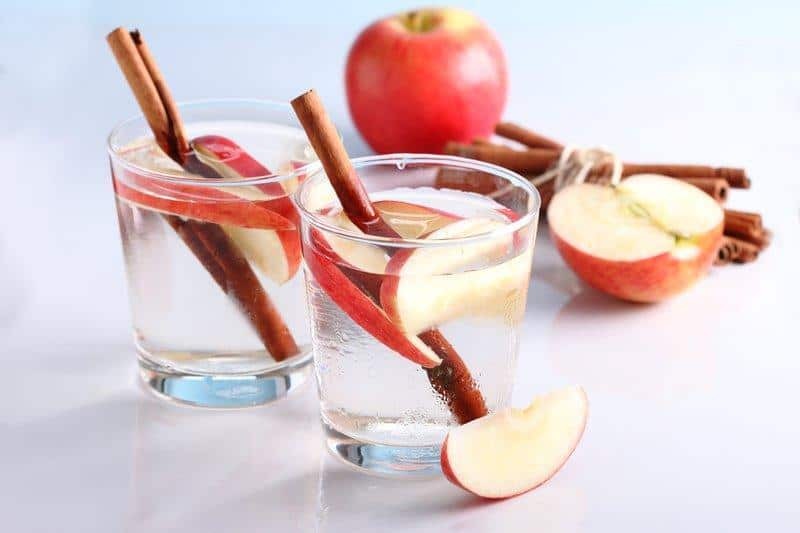 This Apple Cinnamon Water recipe has become an internet sensation and has helped thousands of people lose weight! Make sure to read about all the benefits of apple and cinnamon on the recipe page. 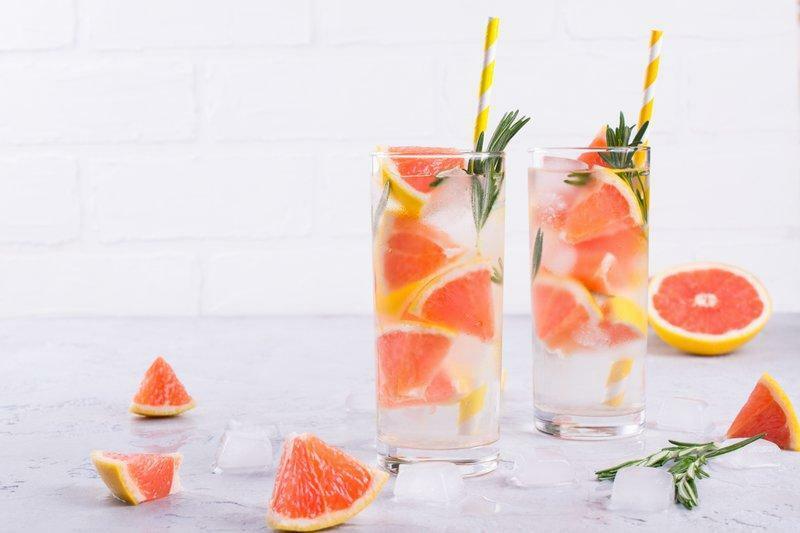 This grapefruit infused recipe is the go-to detox water for a flat belly! The anti-inflammatory properties of grapefruit will eliminate bloating in no time. It’s filled with antioxidants, fresh flavor, and a nice kick from the ginger that will make it easy for you to sip your way to slim. Blackberries are full of vitamins and minerals such as C, K, and manganese. 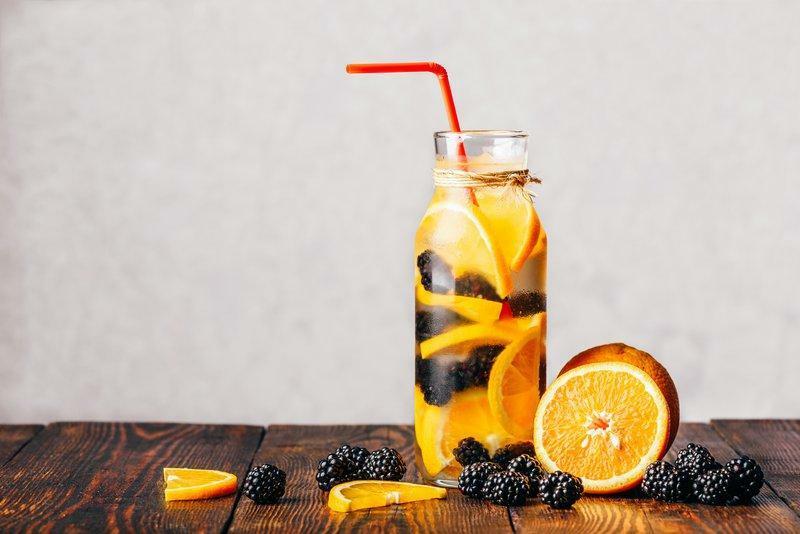 Infused with a generous combination of blackberries, strawberries, blueberries, and raspberries this beverage will boost your brain health in no time. This homemade detox water recipe is tasty, visually appealing, and the perfect way to quench your thirst. 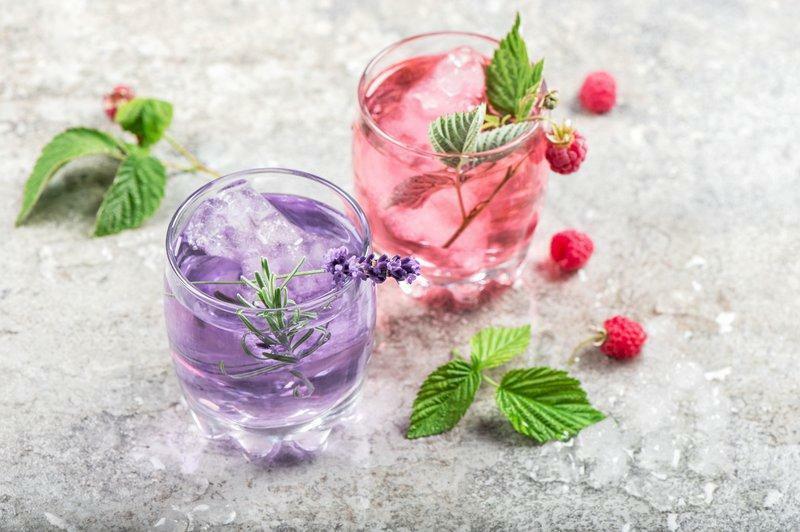 The contrasting colors in these fruits make this drink beautiful to look at and incredibly delicious to consume. Packed with flavor and plenty of vitamin C, this fruit blend is a detox beverage you must try. The fat-burning enzymes in grapefruit and diuretic properties in cucumber make this the ultimate slim down detox water recipe. Paired with a few mint leaves, this drink will help you regulate your digestion in no time. This is the weight loss companion you’ve been seeking! 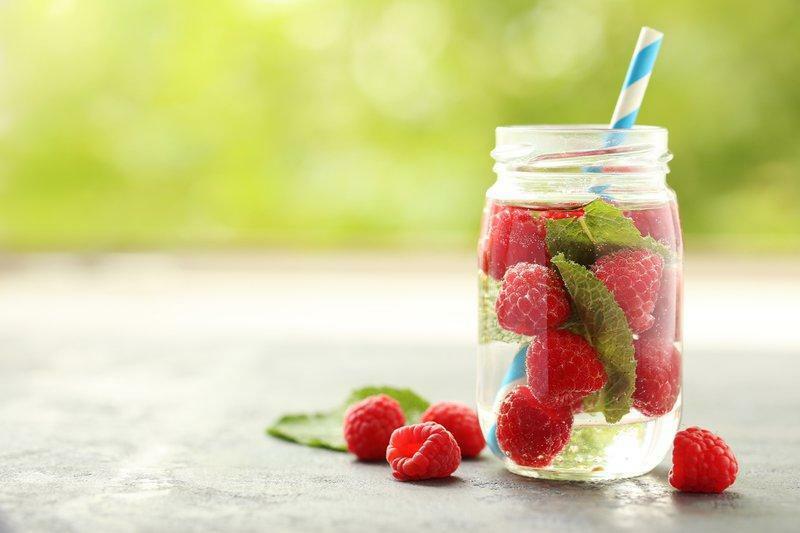 Raspberry’s cleansing properties combined with the mint’s ability to relieve stress makes for one effective detox water recipe. Also, raspberries are known for satisfying sweet cravings. Yes, plants can be edible too! Lavender is the go-to scent in flavor when it comes to stress relief and relaxation. This unique plant with multiple uses also can reduce pain in the human body. The blend of blueberry and lavender is absolutely exquisite and will have your taste buds begging for more. 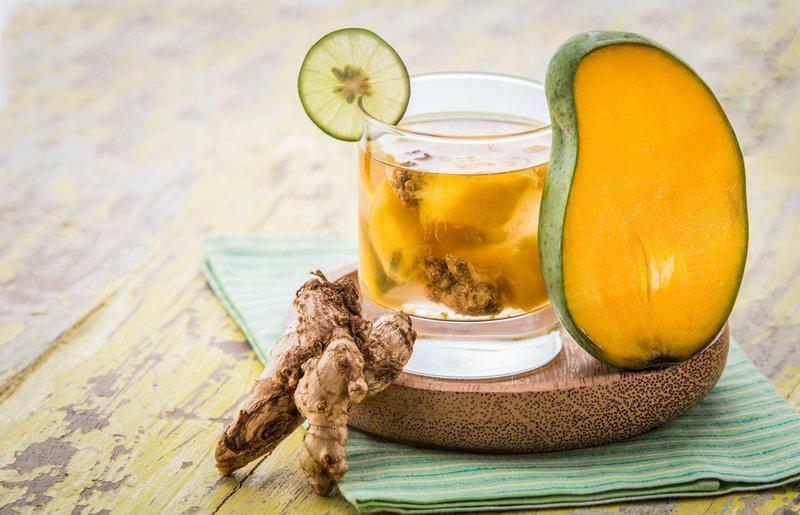 Mango and ginger’s metabolic boosting properties make this detox water the ultimate weight loss drink. Ginger is also a natural pain reliever and has the ability to reduce or banish heartburn. Yes, apple cider vinegar is useful for more than just salad dressings. It has a multitude of uses and using it to make detox water happens to be one of them! Many people choose to drink it three times each day: upon waking up, mid-morning, and again mid-afternoon. 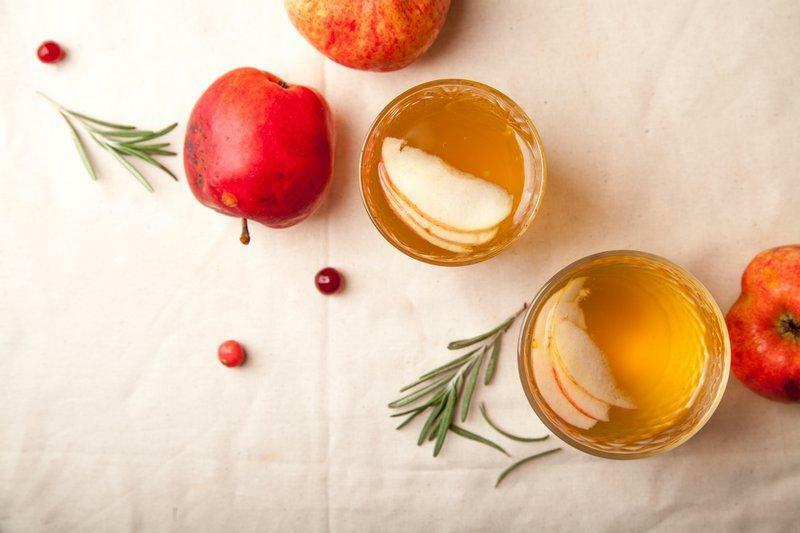 Apple cider vinegar is known for blending well with a variety of fruits, herbs, and vegetables. This ingredient makes it easy for you to combine all your favorite food products into one highly effective detox drink.